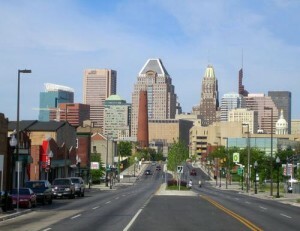 The Bank of America Building, located at the corner of East Baltimore and Light Streets in the downtown area of Baltimore, Maryland, at 505 feet (155 meters) was the tallest building in the state when built in 1924. 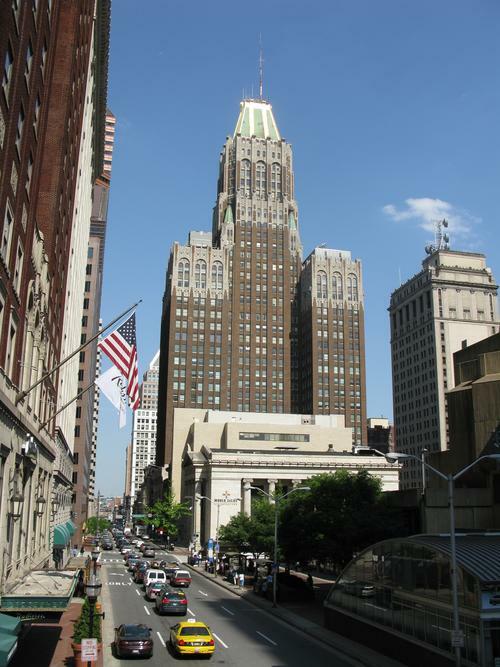 Designed by the firm of Taylor and Fisher, the Mayan Revival and Art Deco building was built as the Baltimore Trust building in eighteen months from Indiana sandstone and local brick over a steel frame at a cost of $3 million. The building's exterior is decorated with bird and lion carvings, Maya-style human faces and is capped with a copper and gold roof. The ornate, two-story main banking lobby is highly decorated with mosaic floors designed by Hildreth Meiere, and historic murals by McGill Mackall on historic themes: the Baltimore fire of 1904, and the writing of the National Anthem at the Battle of Baltimore during the War of 1812. 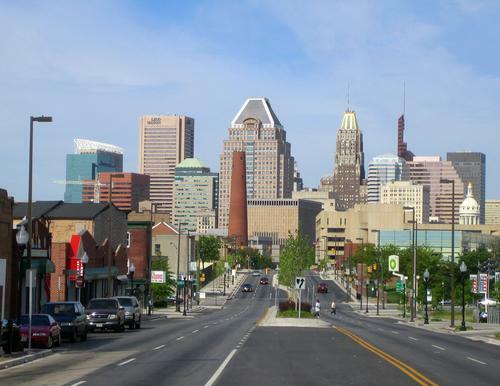 Shortly after the Baltimore Trust Company moved into the building in 1929, the bank went into bankruptcy in 1933 and receivership in 1935 and the then-vacant building was used by the New Deal's Public Works Administration in Maryland.